"Posh Poppies" has become a Portable Project! This afternoon I made the bias stems and began to lay them down on the background...to which they will be hand-stitched. Then, per the instructions in the PP pattern, I drew the design out on a larger (wider) piece of recycled laminate using a Sharpie (R) permanent marker. 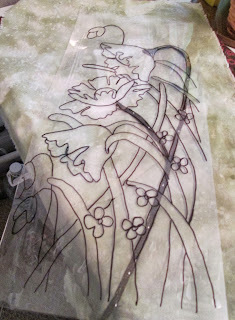 Using the clear plastic as a guide, I pinned two of the stems to the background with wee applique pins. 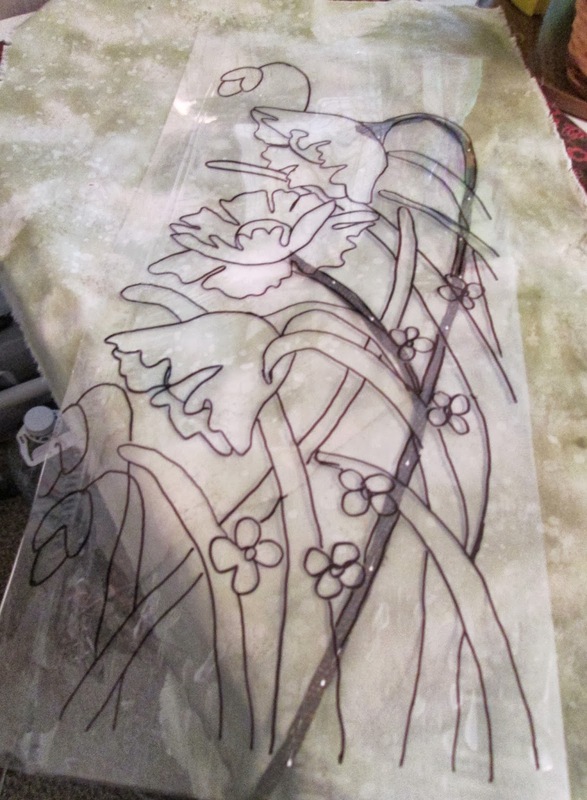 I played around for a while with the leaves, laying them into the design, but decided it was best to stitch down these first two stems before trying to add anything else to the lay out. Maybe by Friday I'll have something finished to show you on this front. Meanwhile, it means my sewing machine has been freed up for other projects! I like the pattern, even though the grafting of the back seam is a bit fiddly -- not nearly as easy as grafting sock toes! 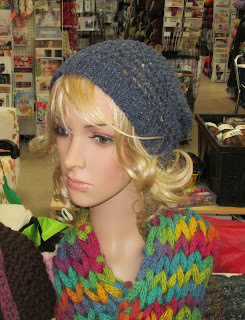 I'm thinking there's one like it -- perhaps a bit more 'swirly' -- on my 'knit for Christmas' list. This evening, though, both stitching and knitting are being set aside in favour of a cuppa dark roast and a cozy mystery. See ya!